1919 – 2019, A century of graduating classes in Putnam City housed in one, unique district museum. Link to article: https://kfor.com/2019/01/07/1919-2019-a-century-of-graduating-classes-in-putnam-city-housed-in-one-unique-district-museum/. Click on the link above to go to the article about the Putnam City Schools Museum that was filmed by Galen Culver for his show on KFOR-TV, "Is this a great state or what?" Jan 7th, 2019. The Putnam City Schools Museum displays historic artifacts and memorabilia of the Putnam City school district which covers much of the northwest Oklahoma City area. The Putnam City Consolidated #1 school was the root of all the Putnam City School District’s family tree which we all belong to. Everyone's help is needed to maintain and enrich our museum. All work is done by volunteers but donations are needed for utilities and upkeep, as well as buying and building displays, etc. All of the articles and items that have been donated are much appreciated and the museum could not exist without them. To protect and display them properly, monetary donations are also needed. Monetary donations of any amount are welcomed. 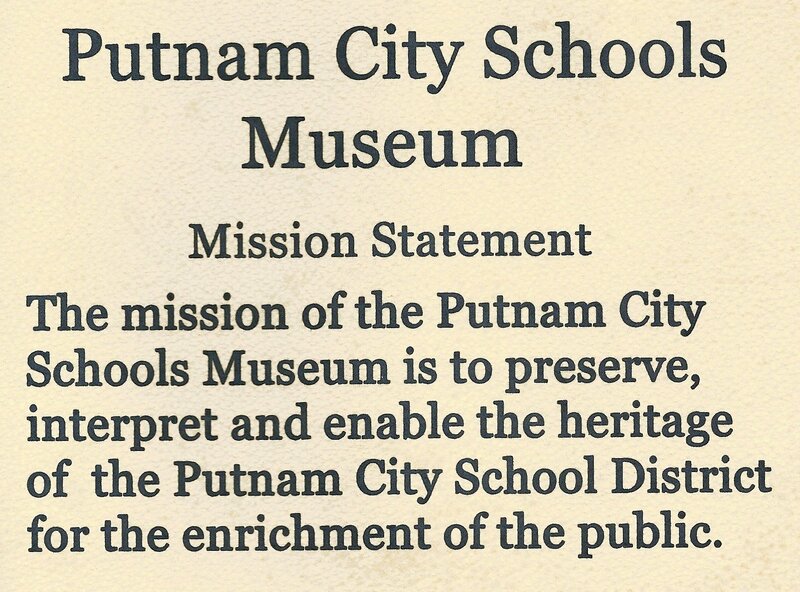 Use the button above to donate to the Putnam City Schools Museum. Any amount is much needed and appreciated. You can also acquire donated yearbooks, which are in excess of those needed by the Museum, for a donation of $20.00. Please mention the year you are wanting. If you need it mailed to you add $6.00 for postage or $26.00 total and put your address on also. Go to the YEARBOOKS link on the left sidebar to see which yearbooks are available. Your donations are tax deductible. Putnam City Schools Museum is a US 501(c)(3) Non-profit organization. As you plan a class reunion weekend, be sure to build in a visit to the PC Schools Museum as part of your official program. The Museum Committee will assemble a special display for each reunion class featuring yearbooks (many from middle school or junior high, and even some elementary ones), school newspapers, scrapbooks, event programs and other memorabilia from your class's school years. The Museum is a great place for classmates to gather on reunion weekend Saturdays . . . or, if you are looking for a free location to host an informal Friday evening gathering we will be happy to open the Museum specially for your group. Should your reunion committee wish to hold an organizational/planning meeting at the Museum, just contact us in advance and we'll make the facilities available to you. SPECIAL BONUS . . . we even have a number of cheerleader uniforms on hand should your class want to "surprise" some of the members at your reunion gathering with a dress up challenge! The Museum should be a part of every class reunion weekend. Just contact the Museum Committee and we’ll arrange a special Museum tour for your class members!